When it comes to designing and implementing a talent acquisition strategy, do you know what's working and what's not? Knowing how to attract the right talent to your organization doesn't happen overnight. It takes careful planning, prioritization and collaboration to create a continuous stream of qualified candidates. 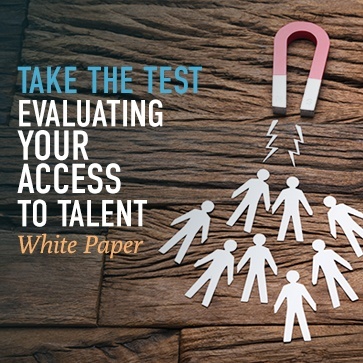 Download the White Paper to understand the key elements to incorporate into your talent acquisition strategy; including what areas to prioritize and measure for optimal recruiting success!